For more apps connected to English, please visit Skolappar and Kunskapsplattan! Scroll down for more iPad apps! Google Translate – translate words and phrases between more than 50 languages using Google Translate for iOS. For most languages, you can speak your phrases and hear the corresponding translations. New Oxford American Dictionary – With more than 350,000 words, phrases, and senses, and hundreds of explanatory notes, this dictionary provides the most comprehensive and accurate coverage of American English available. Price – 229 SEK. Wordbook English Dictionary & Thesaurus – professionally recorded pronunciation for every single entry, word origin information, built-in spell checker with pop-up spelling suggestions, user’s bookmark and note management, unmatched sounds-like and wild card search and a powerful word puzzle solver. Price – 15 SEK. Norstedt’s English Dictionary Pro with 276.000 words and phrases. Price – 349 SEK. Norstedt’s English Dictionary Pocket version. 32.000 words and phrases. Price – 55 SEK. Norstedt’s English Quiz. Test your knowledge and vocabulary with this app. Price – FREE. LearnEnglish Elementary Podcasts app – a series of English learning podcasts for you to directly download and enjoy on your iPhone or iPod Touch. You also have the option to stream. Price – FREE. Using Exam Vocabulary Builder’s flashcard-like approach on your iPhone, iPod touch, and iPad, you can quickly expand your English vocabulary. Price – FREE. Big City Small World is an audio soap for learners of English brought to you by the British Council. Price – FREE. Irregular Verbs 250+ can effectively learn English irregular verbs. 250 irregular verbs include. All irregular verbs with pronunciation symbols. Price – 7 SEK. For the younger ones – BookBox brings you animated stories with a scientifically proven read along feature. Price – FREE. 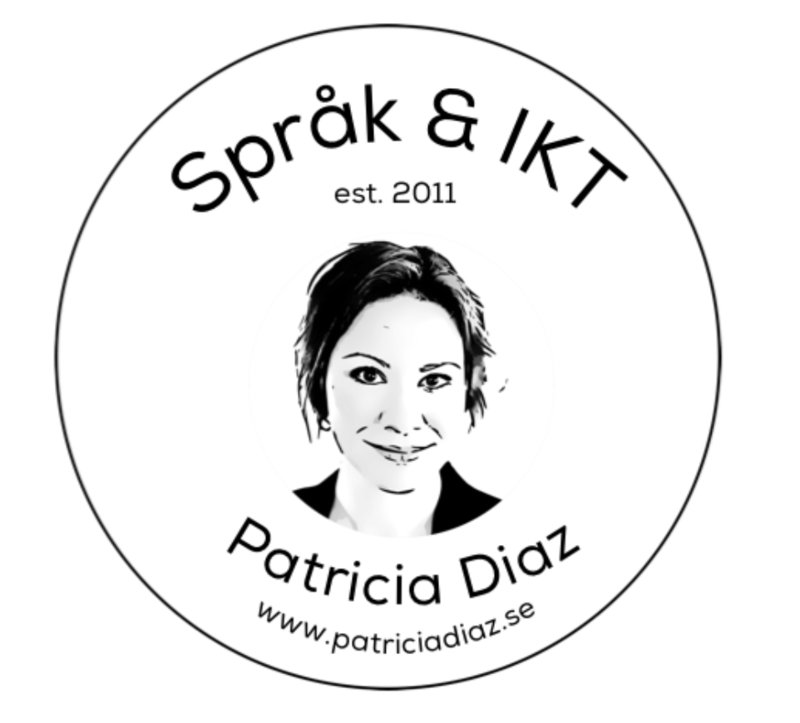 Tyda – Swedish-English, English-Swedish translation. Price – FREE. English Synonyms – requires you to tap on synonyms and opposites of various words. The variety of options help exercise your brain’s literary potential and expand your vocabulary at the same time. Price – 7 SEK. SAT Smart Vocab – ”If you’re serious about learning vocabulary, this is the only app to use. The easiest, funnest, fastest way to master vocabulary.” Price – FREE. Quisser SAT (Vocab & Pre/Suffix) – Vocabulary is considered the most difficult section of the SAT. The program consists of about 250 difficult and representative words in ”quiz” format – just like on the real test. Price – 22 SEK. TOEFL Master Vocab Guide – contains over 1,000 vocabularies drawn from past papers. All vocabularies come with detailed yet clear definitions, explanations, IPA, example sentences, etc. Price – 45 SEK. Babelingo – communicate with confidence using Babelingo’s professionally translated phrases. Price – 15 SEK. Dictionary.com – delivers trusted reference content from Dictionary.com and Thesaurus.com. The app includes nearly 2,000,000 words, definitions, synonyms and antonyms. Price – FREE. Dictionary.com – delivers trusted reference content from Dictionary.com and Thesaurus.com. The app includes phonetic and audio pronunciations, spelling suggestions and our popular Word of the Day. Price – FREE. Learn English Elementary – each show is 20 minutes long and comes with questions, of which you can try and answer while listening to the podcast. Free English Dictionary – type in an English word and the definition will quickly be retrieved from the dictionary. Word of the day fucntion and history. Advanced English & Thesaurus – a large lexical English database with straight forward and precise definitions of over 140,000 words with more than 250,000 links and 1.4 million words. It includes synonyms, antonyms, similar and related words to help you make your writing and speech more interesting. Price – FREE. Grammar Games Lite – Quiz yourself on fun English grammar questions. Idioms, commonly misspelled words, irregular verb tenses, verb prepositions, proverbs, synonyms, etc. Price – FREE. Grammar Up – a multiple choice quiz system for English which provides over 1800 questions across 20 grammar categories. Price ~ 20 SEK. Johnny’s Grammar Quiz Master – Test yourself against LearnEnglish’s resident expert Johnny Grammar. 3 levels of grammar questions, hundreds of vocabulary questions, a quiz on the 1000 most commonly misspelled words in English. Price – FREE. Wordshake from British Council – A fun interactive game competing against the clock trying to make as many words as you can with grid of letters. The longer the words the more points you get. Price – FREE. Urban Dictionary – Look up words from Urban Dictionary – a user generated source of modern slang. WARNING: If Urban Dictionary offends you, don’t use this app! Price – FREE. Wattpad – More than 10 million free ebooks for English majors to pick from and in genres like thrillers, romance, sci-fi, mystery, and much more. App users may read offline and connect with favorite authors around the world. Price – FREE. WordBook English Dictionary & Thesaurus – If you are majoring in English, you will probably rely on a thesaurus and dictionary to help you out when it is time to compose papers or analyze literature. The WordBook English Dictionary & Thesaurus app provides recorded pronunciations for words, spell-checker, and 23,000 word origins. Price – 15 SEK. Perfect Rhyme – This app is great for English majors who are writing rhyming poetry and who may need a little help when they are composing poems in the style of Shakespearean sonnets. Perfect Rhyme has over 130,000 entries and students may even search for words by the number of syllables. Price – FREE. Grammar Up is a multiple choice quiz system for English which provides over 1800 questions across 20 grammar categories. Grammar Up was designed to replicate questions with a business focus commonly found in the popular TOEIC (TM) English proficiency test. Grammar Up can help learners to improve their grammar, word selection and vocabulary. Custom timer setting can assist learners to improve response times under exam time constraints. The Interactive Grammar of English (iGE) is a comprehensive introductory course in English grammar which takes you from the most basic elements to the most complex constructions. Practice English Grammar contains many pages of grammar lessons explaining the grammar topics of the tests. With over 500 questions in 16 topics, this app helps you practicing the basic usage of English grammar in elementary level. The Kidioms iPad app makes learning idioms fun for children, ELL students, or anyone wishing to improve their understanding of English. The app uses an interactive notebook to present an idiom, its meaning and an example showing the idiom used in context. Each page of the notebook also has a graphic to help illustrate the idiom’s meaning. Phrasalstein Doctor Phrasalstein who, with the help of his friends, will teach us 100 phrasal verbs using animations inspired by the classic “horror movie” genre, with a touch of humour and irony. Preposition Builder is designed to help elementary aged children learn the correct use of prepositions and learn how prepositions can change the meaning of a sentence. Basic Pronunciation. Learning by listening with four fun games that improve your pre-intermediate English pronunciation. A new way for learners of English to practice speech, mixing audio and visuals across 400 challenging questions. Intro to Letters will help you learn to trace, read, write, and record letter sounds, names, and phonograms, based on the proven methodology of Montessori. Conversation English is an excellent app for anyone learning English as a second or foreign language. Practice and improve your English conversation skills with 20 complete Conversation English Lessons. You will learn over 200 common English Idioms and Expressions, improve your Listening Skills, and develop your Speaking Skills. Adventures for kids uses the power of the computer and attraction of a video game to open your mind to basic English words – all while having fun! English is Easy. This set of flashcards was drawn for language learners of all ages and nationalities. Whether you are a beginner or someone who needs to refresh the basics, these pictures will help to lock in vocabulary by building stronger associations. Science Vocabulary. 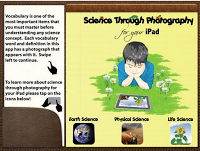 This app is designed for students aged 8 – 11 years old. Vocabulary instruction is important to a student’s science learning. When teaching science vocabulary, you are actually teaching important concepts. Research shows that knowledge of science related vocabulary is related to reading comprehension and school success in general. Building vocabulary will help integrate the science content with other content areas and help increase student achievement. Vocab Genius. Vocab Genius is a great iPad app to help kids with their vocabulary learning. It provides over 800 flashcards for some of the most useful yet difficult vocabulary words in the English language, complete with definitions, sample sentences, and synonyms. It also features over 300 “word elements” flashcards for common prefixes, suffixes, and roots. ‘Ever wonder what it would be like to mash-up a Shakespeare poem with a Hip Hop Song? Verses is a new iPhone and iPad app that puts a fresh spin on a cherished classic: refrigerator magnet poetry. We built this app to set your creativity ablaze with Verses’s limitless word mixing possibilities that allow you to become a kind of dictionary DJ. After creating a poem out of your own personal mix of dictionaries, you can send your creation to friends via email or publish it in your Facebook photo album! (network connectivity required)’.